There are four values needed to connect and send payment requests through your First Data account. The first two are related to the “Terminal” in your account, which includes a gateway ID and your gateway password. The gateway id is clearly printed along with the terminal and your gateway password must be set in the details for the gateway. 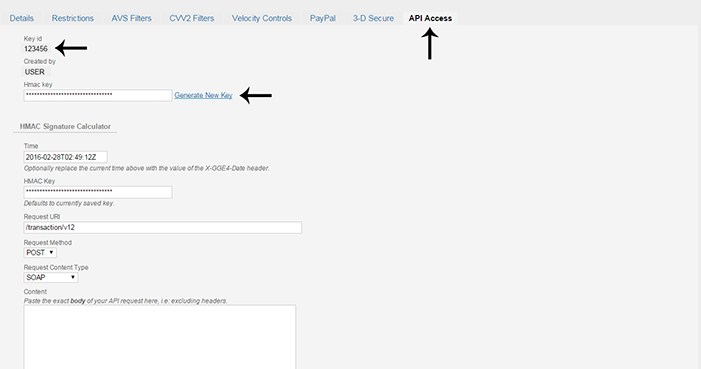 The other two options that are needed are in the API Access area for the gateway. The key id is clearly stated in the API Access section and the Hmac key is something that is generated on the API Access page. 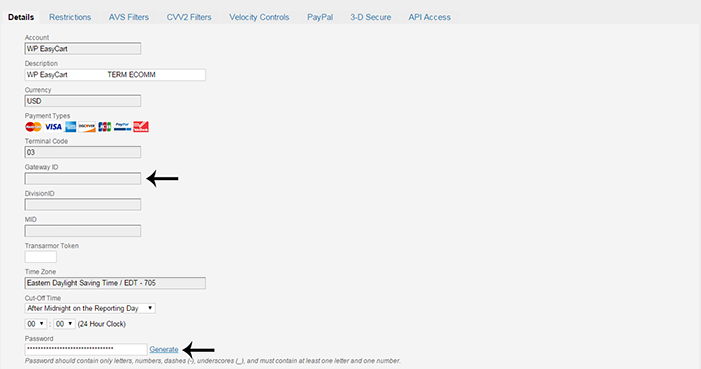 To complete setup, take the four values listed in this guide and enter them in the appropriate fields in the EasyCart Payment Setup for First Data.